It was only a matter a time that I brought these over-the-knee beauties out again (last seen here)! 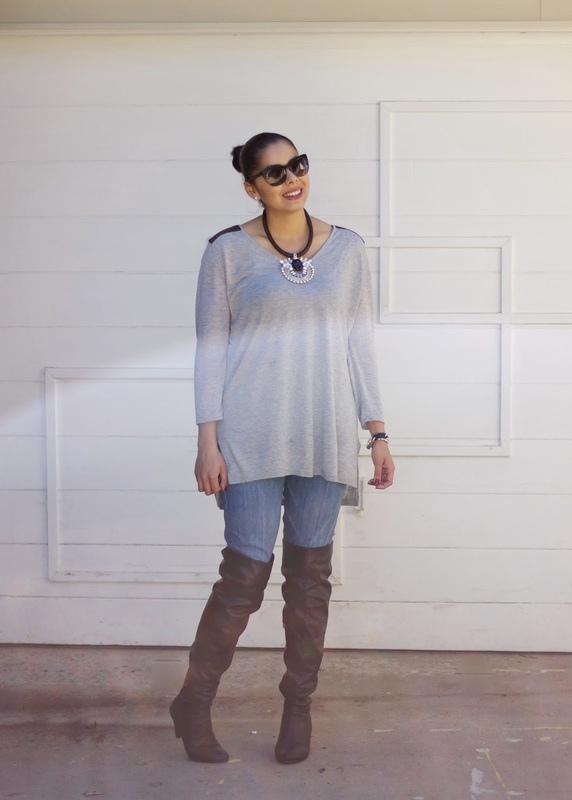 Today they have come out to play not only to celebrate Fall, but for a collaboration with 3 other gorgeous fashion bloggers who are also showing you how you can bring your boots out to play (see their fab looks below). 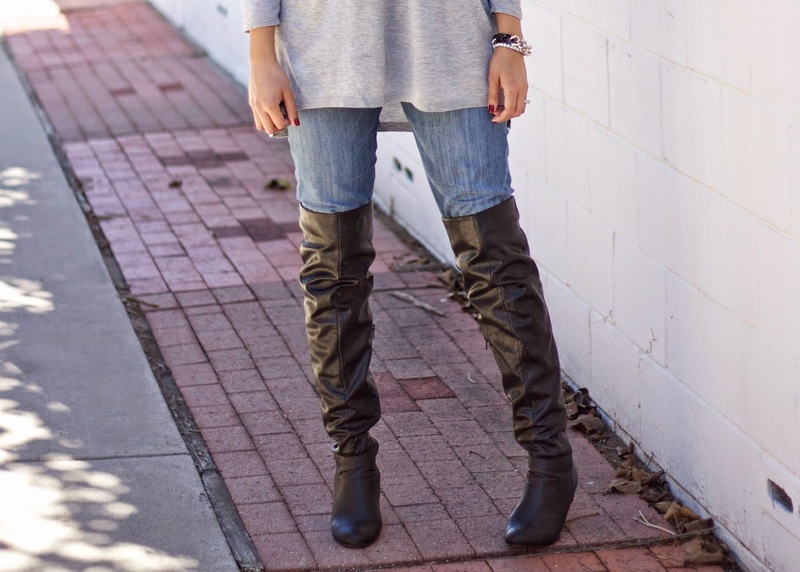 Over the Knee Boots, aside from keeping your legs warm can really sexify an outfit. Every time I put these on, they inspire me to strut! 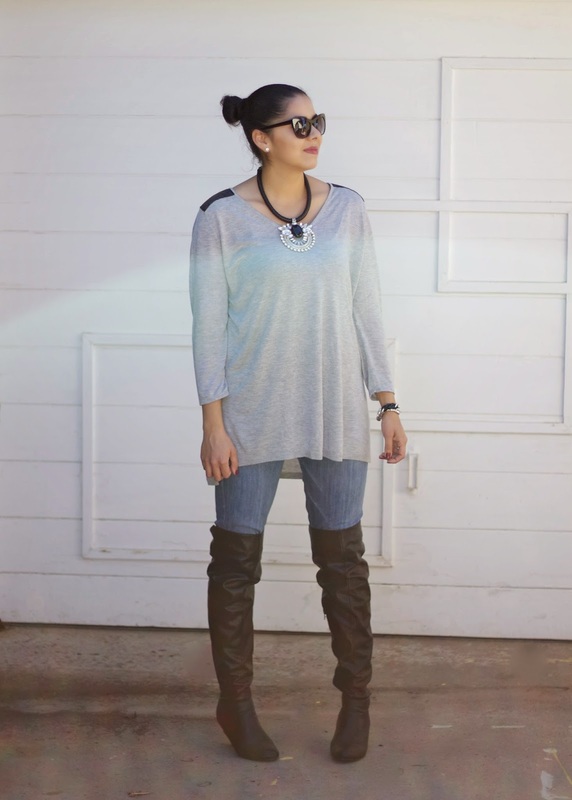 Check out the blogs for these lovely ladies for different ideas on how to style your boots! About the Outfit: Top c/o H&M | Necklace c/o Topshop | Hudson "Gia" Jeans | Forever21 Cateye Sunglasses | Charlotte Russe over the knee boots (similar) | Sparkly bracelet c/o Charming Charlie | Chain bracelet c/o About Pretty Things | Midi Ring c/o Tanya Kara Jewelry | BareMinerals moxie lipstick in "Break Away"
Those are cute boots. Love the necklace. 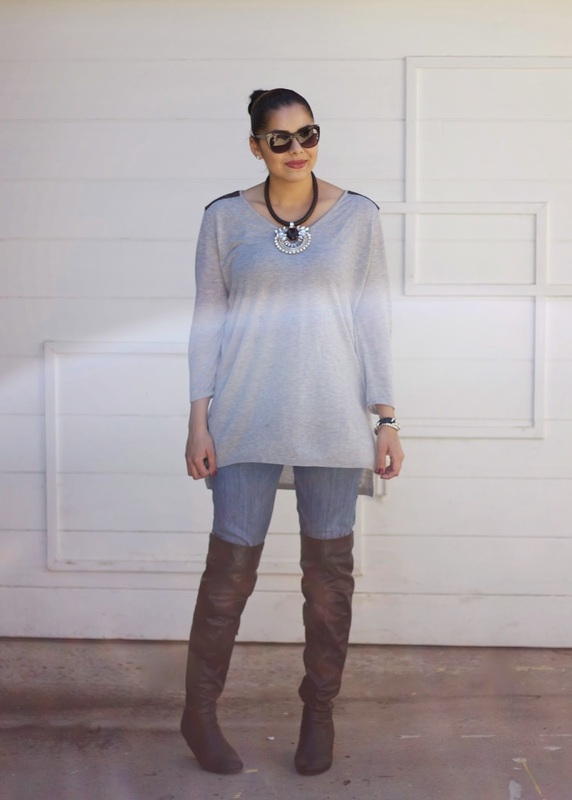 Love, love those boots and the necklace!! I love how you styled yours, it's a perfect balance of casual meets glam. Gorgeous as usual Paulina. Love this entire look so when you get tired of it, please send everything my way lol.